I started watching Leah Remini’s documentary on A&E about Scientology and have been fascinated with it. I have a self-admitted fascination with how different faiths work, especially those of a more controversial nature. It was what led me to the library to find this book. And I haven’t been able to put it down since. One of the things I most appreciate about this book is that Remini doesn’t try to portray herself as anyone other than who she is. She doesn’t clean it up for a book. 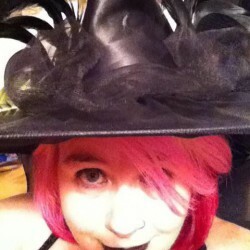 She presents her story as if she were telling it to you over a cup of coffee, f-bombs and all. And she presents it with truth and honesty, not only describing her issues with the church, but putting her faults and those of her loved ones with equal measure. There are no holds barred and that really gave legitimacy to what she had to say. 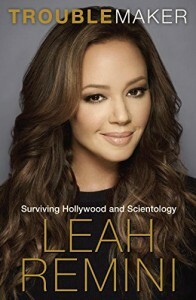 The book is about her experience with Scientology and that with Hollywood. For her, the two experiences have been largely entwined. There really was no line separating Scientology from any other part of her life. Her career, her family, her friends, even her marriage… all highly dictated and controlled by her church. It is an eye-opening read. Overall: No matter what your personal thoughts or beliefs, this is a fascinating read. It is honest, deep, and sometimes very dark. I highly recommend this book if you are looking for an intense personal story.